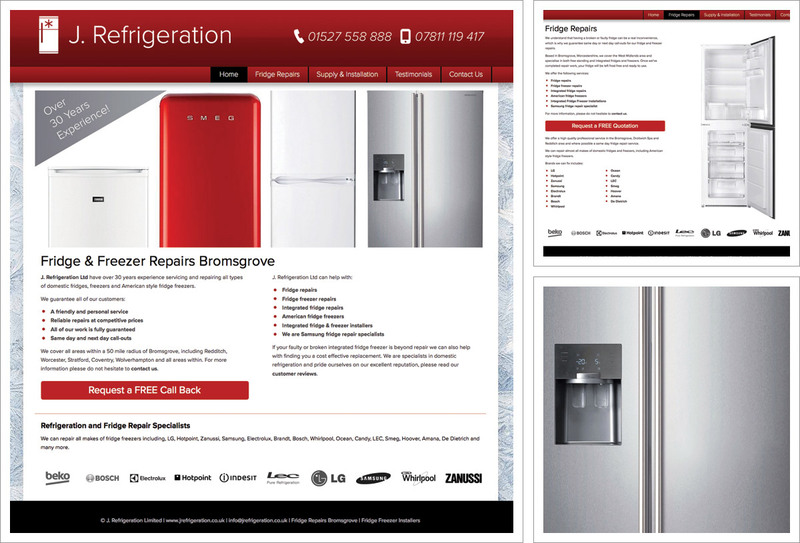 J Refrigeration are fridge / freezer repair specialists for Bromsgrove and the surrounding West Midlands region. Introduced to Pedleyonline through a customer recommendation they wanted to create a new website to replace their existing Yell website. A responsive mobile friendly design, with new branding and something they can invest in and develop in the future. The website has services pages relating to fridge repairs and supply and installation, testimonials and a contact us page. We helped select and secure the domain name, the styling of an existing Google+ page, web hosting, e-mail and also the transition from Yell. The responsive design means the site adapts and displays according to the device it is being viewed on and provides an improved experience and navigation experience for customers. The website is completely expandable and we look forward to working with J Refrigeration in the future to add lots of cool new content.